ABC News has learned that the nomination of former Senator Majority Leader Tom Daschle, D-S.D., to be President Obama’s secretary of health and human services has hit a traffic snarl on its way through the Senate Finance Committee. It remains an open question as to whether this is a “speed bump,” as a Democratic Senate ally of Daschle put it, or something more damaging. Daschle, a former Senate majority leader, and his accountant discovered the error regarding the luxury car service and reported it to the committee after his vetting was completed. 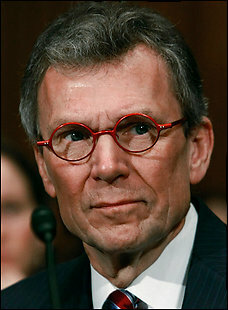 According to the Senate committee, Daschle used the car 80 percent of the time for personal purposes. That service was worth more than $255,000 in unreported income, according to the committee report.